The clock shows 12:22 pm. He knows that right now all around the world people from different religions, ethnicities, and backgrounds may be tuning in. But that does not matter. Different religions, ethnicities, and backgrounds were never an issue. What mattered were the ideas and the freedom of expression that this website allowed. There will be countless chatter in the Shoutbox about the most recent events in people’s lives. The community will chime and comment on the most recent ‘happenings’ and open new questions for discussion. The vitality of the place never ceased to amaze, stimulate, and bring people together… united. Normally, he will read along and participate in the conversation, but he has been away for a while. Today it is not his agenda to participate in chat. Today, after many months of silence: Guruku writes. There isn’t a single person on this site not guilty of spending hours and hours on the World Wide Web. And of all the websites that he could have visited; he came across a website that was unlike any other. Call it fate if you will, but he was able to find this one site from the hundreds and hundreds of websites alike. This particular website did not necessarily have the largest traffic flow but it did catch the sparkle of its members like a child staring up at a floating balloon in pure wonder. This site captured the imagination of its community members and allowed for an outlet of creativity. And upon stumbling across the website, he realized that this website had more heart and potential than any other. This community will soon be a new home and a great one to share and meet people of a common interest. This great community was Narutohurricane. The website was no secret though. There were many before him, known as the ‘veteran writers’ or the ‘OG crew’. These noble community members were similar to the first hokages’. They were the ones that set the foundation and wrote the bylaws. They were the ones that single handedly, piece by piece, built the community from nothing into the fruitful evergreens it now stands. This community will be nowhere without these legends so when you get a chance, make sure you recognize them for their valiant efforts. For too long they sit in the shadows, but do your best in welcoming them back if they poke there heads in from time to time. You never know… they may be more than happy to strike up a fancy conversation. Guruku thanks them for piecing together this grand community. Narutohurricane was anything its members wanted it to be. 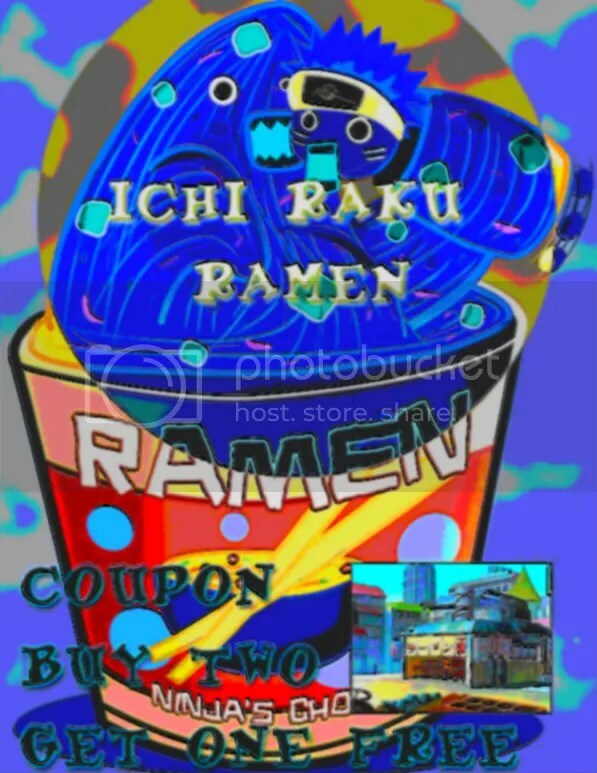 And He saw that in the site; it was a canvas for Guruku’s creative outlet. At first, it started off with simple letters, formulated into words and phrases which turned into rants – members responded. The creative outlet flowed and the elated enjoyment of writing blogs started to show even more. He wrote and they commented. Together the community enjoyed the company of one another, and the spirit and the ‘want’ to write escalated. More and more, the directions and possibilities of blogs grew. Guruku wanted to be as creative as possible attempting to make it fun and entertaining with as much games, pictures, motion gifs, forum chats, and thought-provoking discussion questions as possible. His works spanned across all genres and he hoped that it touched as many people as possible. His underlining objective at all times was always to serve others, to teach, and to have fun. Everyone in the community advanced together. The community flourished together. There were a few pit stops along the way; but nothing stopped the heart and the compassion of its members from keeping the spirit of Shannaro alive. The community worked hard. Narutohurricane’s members never shied away from contributing in their free time to help lead discussion, participate in contests, or even write group blogs. To Guruku, this unwavering spirit will live on as one of the greatest things that brings us together. These unforgettable chapters were written at Narutohurricane on a daily basis by contributors from all over the world with a common interest bounded with mutual respect. Narutohurricane – Shannaro – United with respect. I love narutohurricane. I have spent more hours on this site than any other single Naruto fan site. 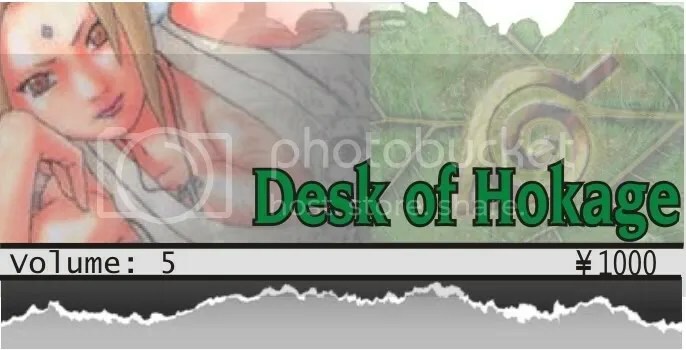 I have worked hard for this site; written blogs, comments, and forums; created banners, pictures, and logos; and through it all I have enjoyed every moment of it. I have enjoyed this journey with you all; the members of Shannaro and the community at large. You have brought me many great memories. But I can no longer lie to myself nor the citizens of Shannaro claiming or anticipating my next blog as an author. I have had the chance to work with the best of you and I thank you for that. 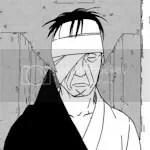 Alas, this new chapter of Narutohurricane will be written without me, as the 15th inducted author at a total of 43 blogs – Guruku officially retires. I am uncertain where this community will lead towards as I leave. Maybe things will be lively, maybe things will be quiet, maybe there will be a solemn tone. But, hopefully there will be a continuation of the creativity, vast discussions, and communal respect that I saw when I first came to discover Shannaro. All I know is … It is time for the next generation to take over. And that… is yet to be written. I challenge you to find something worth dying for... and in return, live for it! Bits of information stolen from the Desk of the Hokage and excerpts from the local Konoha Newsletter. Within the ANBU corps., Danzo created and led the training of “Ne” also known as “Root”. 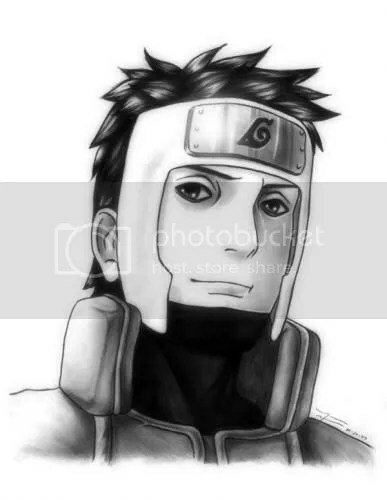 Danzo was the former Military General to the Hokage, and is now an advisor. He is aggressive in war and prefers it over peace. He is known to have an iron-clad method of teaching and has been seen in the militaristic manner he trained Root. 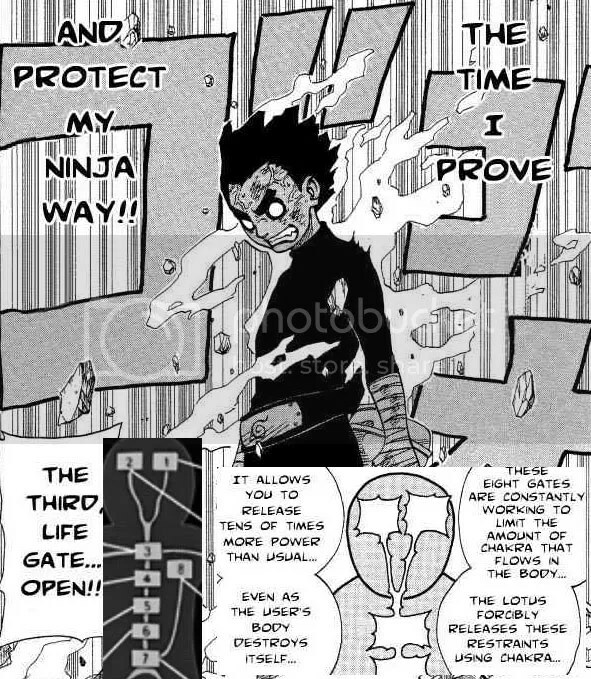 Following the ninja code of not feeling emotions during a battle, Root, has eliminated all forms of emotions as a training method to increase the success rate of its’ ninjas. However, as the time has progressed, ideas of morality play into its factors. Currently, the Root organization has been disbanded; however, it’s members are seen congregating and meeting in suspicious behavior. Speculations of foul play. The Deer Forest is the center of many medical plants and animals. The extracts from the plants and the local deer antlers have been known to save many lives from the medicine it makes. The Deer Forest is home to 70 different herbal plants, and have helped Konoha with 110 different herbal medicines. The Nara Clan is the clan that moderates and generally maintains the Forest. The Nara Clan has been in charge of the Forest for ages and ages. However, the Nara clan denies any claims of the Haunted forest. Who is Jashin? And what are all the cries that villagers are hearing? Perhaps, it is just a forgotten figment of our imaginations. The pink thing is to symbolize a tear in a piece of paper, as if the information was stolen from scraps of paper. Get it?! Kukuku… I hope everyone can read this well enough! A new Rank and Team System has been introduced. Currently in beta form. Check it out! and it is also available up top! NARUTO CHAPTER 443 is Out! REAL WORLD – Chakra is said to have originated from Indian medicine although it has been adopted and developed to fit many different cultures and traditions. Chakra is described to be a vortex of energy from the center of different focal points throughout the physical body. There are seven major chakras which supports the physical body parts such as nerves and organs. The use of chakra is believed to help power, insight, intuition, will, and spiritual awareness. The chakras within physical properties are supposed to bring a new sense of awareness connecting to higher spiritual nature for the individual. Totality of Beingness. Spiritual Perfection. Creation of Self. Perception and Projection of Self. In the real world, many of us have never considered chakra to be a part of our lives. Apparently, there is an entire discipline devoted to real-world chakra and the use of it for spiritual awareness, medical healing, and personal increase in power. We can learn a lot from the real-world applications of Chakra compared to the Naruto world of Chakra. 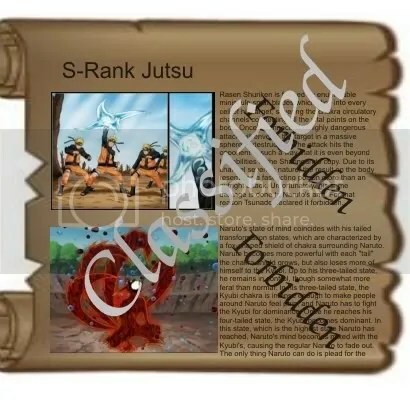 To understand what element of nature chakra each ninja is naturally geared towards there is a chakra paper that was developed in the ninja world. The chakra paper was described as been fed neutral chakra for a long time in order to have these properties. The Chakra paper is designed to take the characteristics of the element of its user. 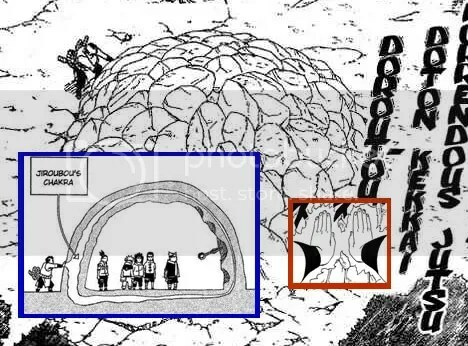 The 8 Gates acts as a restraint on Chakra usage. 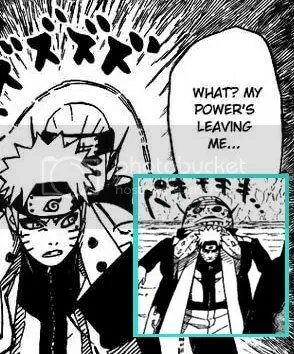 With these restraints Naruto already has incredible chakra... what about without it? Karin is she possibly a Chakra Sensor type? How does Ninja's acquire the ability to sense chakra? 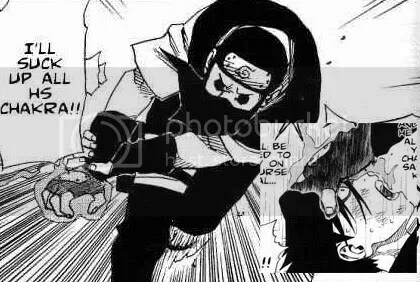 Kisame's Samehada easily chews up chakra... How much Chakra does Kisame have to yield such a weapon? The Hungry Ghost of Pein takes Chakra absorption to the highest level -throughout his entire body. Was able to stop Naruto's Nature Chakra level. The most recent addition to the Naruto chakra world is the Nature Chakra. Also known as the Senjutsu Chakra, the Nature Chakra is very difficult to master and only few can grasp its incredible amounts of chakra power. The Senjutsu (Nature Chakra) is the most difficult chakra to master because Nature Chakra is everywhere and you are able to absorb power from any source. Well done Naruto! – How are ninjas capable of ABSORBING other’s chakras. – How does a ninja SENSE chakra? And if Karin is able to sense chakra, how does she know it belongs to a certain person? – Does Chakra emit a type of smell or way to identify from person to person? i.e. Naruto not feeling Kakashi’s chakra. – How much Chakra does Kisame have to weild, a chakra absorbing sword- Samehada? – If ninjas are capable of absorbing Nature Chakra, does that mean Nature emits chakra? – Are there any similarities from the Naruto world and the real world of Chakra? – How do you think Chakra can be helpful in the real world? The animal summons do not allow the average Joe to get the animal techniques!!! So how is Naruto fortunate enough to get those techniques? Consider it like joining a secret organization like the Freemasonry. The normal guy doesn’t automatically win the rights to use the organization’s name; nor will the Freemasonry give away its secrets haphazardly. In order to be even considered, the process is grueling, rigorous, difficult, and long. For starters, think of the contract signed in blood like a real written agreement between you and an organization. The document will hold you accountable to its terms and agreements, and only through a period of trail will you be taught the secrets of the organization. The secret organization also has a set of values and history that you must adopt and learn. You will also have to believe in their values and share the same passions for the organization. However, at the end, once you’ve gained their respect, learned the rules, and adopted the values, you get its rewards. 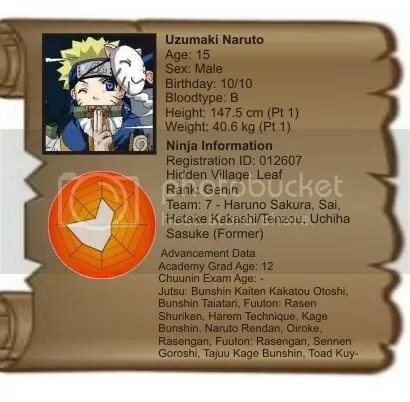 In the case of Naruto, you are allowed on their secret grounds, you are taught their sage techniques, and you are allowed to proudly represent the Toad Community. However, the praise and potential power that may come from the innumerable powers of animal sages alike has an underlining message with potentially grave circumstances. Again, not every average Joe is able to pass all the grueling tests that come before achieving the Sage power. Only special ninjas like Naruto can go to the oil fountain in Myouboku Mountain and become a sage. Not because Naruto is focused and driven, or the main character. 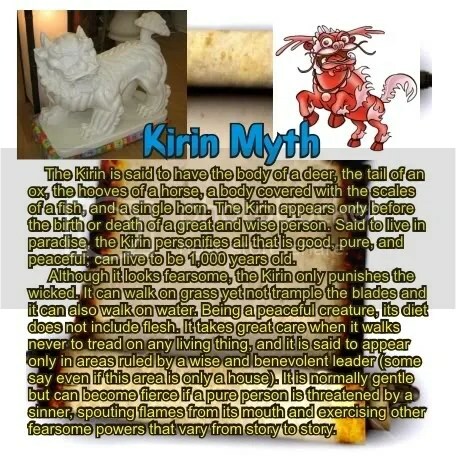 And not because he has great connections, has the most skills, or has the most chakra. It is because Naruto is the most selfless ninja to not realize personal danger; and not realize that the waterfall that he was at is a fancy cemetery. The fancy cemetery, in reality, was potentially also Naruto’s burial ground. Yes, in reality, Naruto was practicing in a cemetery where hundreds of people attempted to learn the secrets of Toad Sage. Countless deaths have occurred in the pursuit of power and only few have triumphed. The likelihood of perfecting one animal’s sage technique is low enough to have difficulty considering a single individual ninja to perfect multiple. Even though death by solidification into a rock statue seems like a grueling ending enough for any one person, it may still be considered an easy way at death. A potentially worse circumstance for joining the secret animal summoning organization is the total embodiment of the animal itself. 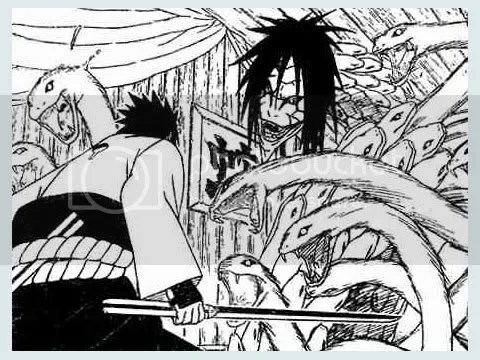 Take for example, Orochimaru and the horrible monster he became. He might be the epitome of a summoning pact gone awry. 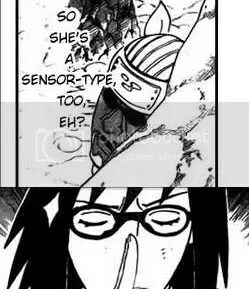 Orochimaru, in his efforts to learn and perfect every jutsu, has mastered the Sage techniques of the Snake. However, the Sage Snake technique came with many side effects. Orochimaru’s claim towards power made him a mere fragment of his former human self and more and more like the embodiment of a snake itself. Now, another thing that is not discussed often is the usability/compatibility of the summoned animal. What I mean by “usability and compatibility,” is the summon and its “usefulness” or “compatibility” to fit into the situation of its summoner. Still confused? In general, how does one summon a Toad that is a defense toad versus an offensive toad? How does a ninja know how to summon a fire-breathing toad as opposed to a toad that is useful aquatically? I pondered on this question for a long time until the answer dawned on me: emotion mixed with chakra! Aside from the amount of chakra making a generally more powerful summon, the emotion helps determine the summons usability/compatibility to the situation. 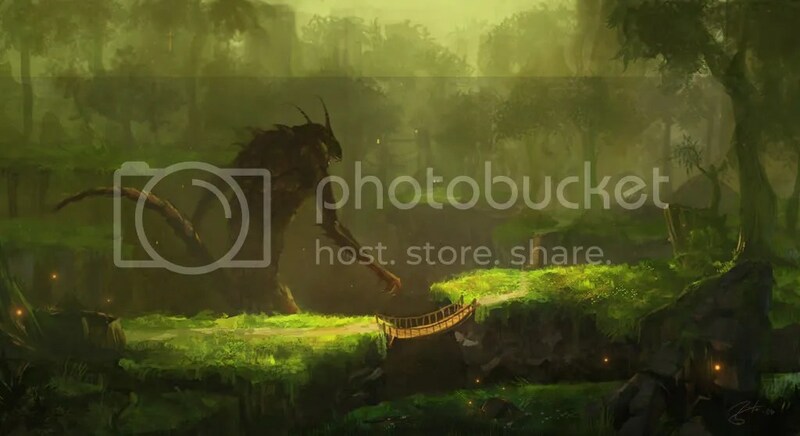 When the summoner is in danger and needs assistance; the natural feeling of urgency and worry will automatically seep through the contract, and will automatically determine the usefulness and compatible summon to assist you in your area of need. Think of it like the worlds BEST customer service number you can EVER call; however, the one providing you the service is an animal and the price to dial is a drop of blood and handseals. 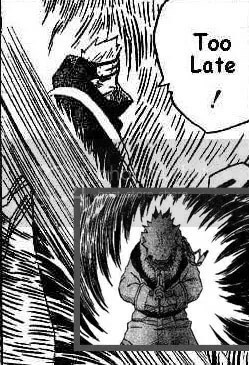 It makes sense because, that is why Naruto had a difficult time summoning a proper toad in the beginning. Naruto was always letting his emotions run wild and not keeping himself composed and collected (not to mention the chakra ordeal). It wasn’t until he was pressed with emotional urgency for his life was he able to appropriately summon the right amount of chakra and emotion to properly summon the best suited Toad for the right occasion. In short, even though there are potentially powerful sage animals out there, there may not be another ninja out there that can possess the powers that Naruto mastered. Even if other ninjas out there mastered their summons’ special sage techniques, there are consequences that comes with mastering the techniques. Consequences include physical and mental changes in the human body; in Orochimaru’s case, he had both problems and became a nutjob. The possibility of having one ninja master multiple Sage techniques from different animals is extremely rare. Also, the animals have conflicting values which restricts a single person to adopt the same values of a vegetarian turtle AND a carnivorous wilderbeast. Balancing different Sages techniques from different classifications of animals will be incredibly difficult. And on a side note, summons are emotionally based and summoned to fit its masters’ needs based on emotional circumstance. I hope this was an enjoyable read. I enjoy chess. It involves a lot of strategy, planning, and careful observation of your opponent. It also involves understanding the functions of all the pieces, their abilities, and the importance of each piece. However, there was one piece that always perplexed me: The King. Why was the most important piece only able to move a single space at a time? If anything, the King should be a master of its domain and glide through the playing field like the graceful Queen, or jump over enemies with a stealthy attack like the Knight. Yet, I felt that the King was nothing more than a lazy single-square moving piece. If anything, the King was a coward. The King required a special ‘Castle’ to hide behind, and must shy away at the simple shout of “check“. For some time I wanted to introduce a new color to the black and white game of chess; A yellow King to match its yellow personality. It was very difficult to understand the function of the King. 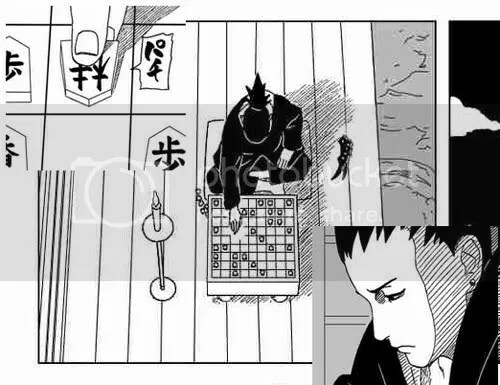 However, as Asuma has introduced, by considering the King chess piece to be the next generation to take charge of the world, my entire notion of the game changed. By applying this analogy the game of chess takes on a whole new meaning. My duty as a chess player became simple; protect the King and ensure the survival of the future generation. This task seems simple enough in the game of chess; you pick up pieces, and you move it to another square. When a piece is lost, it doesn’t matter because you continue to play. You change your tactics, you devise a new plan, you continue to play… and even when the final piece is lost or won, you shake hands with your opponent and you can always play again, the fact is: a game of chess is still just a game of chess. The game of Chess is just a game. However, imagine if you must LIVE this game. If we realistically adopted Asuma’s analogy of the King being the next generation and it is our duty to protect it. How would you react? Living this analogy provides a whole new perspective for us. 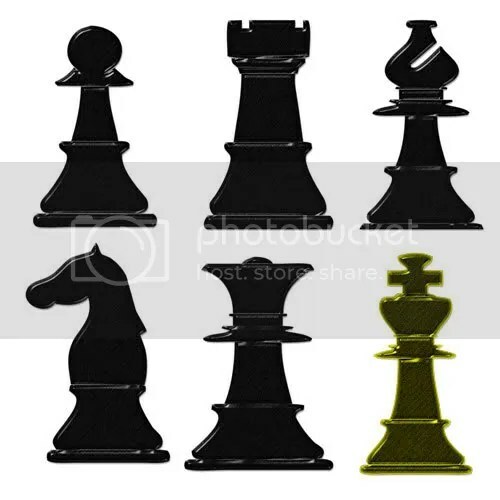 If you were a pawn would you knowingly step out into the scary battlefield knowing that there are powerful pieces out there like the rook, knight, bishop, or queen? Would you, as a pawn, be willing to fight and sacrifice yourself to possibly ensure the survival of the next generation? As a pawn, would you be willing to take that initial leap? That is a question that many of us have to ask of ourselves… Let’s not forget, within every pawn is the ability to be promoted to a powerful Knight or even a Queen. The fact is, we must become “Kings” ourselves. We must take charge, and be the change in the world that we would like to see. Even if we are not that ‘powerful’ like the Queen, Bishop, or Rook, we must still be courageous. And even if we can only take one step at a time; as Kings, we must still step forward. In the game of chess, we can practice over and over again new strategies to ensure the future victory of our next generation. And when we win a game it is an unbelievable feeling to call: “Checkmate” as a signal for the guaranteed victory of our generation. However, in real life, you only get one chance; so step forward my King… Step forward and set a good example – Kings of the next generation! Welcome new class of Shannaro 09! Narutards Unite!